For parking and weather information, click here. 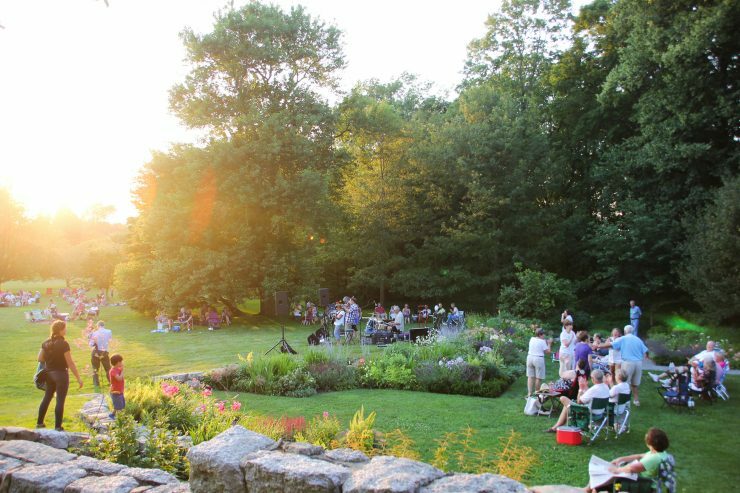 Spread out a blanket, soak up the warmth of the summer sun, and enjoy the sunset over Narragansett Bay, all while savoring a kaleidoscope of musical performances. A perfect way to celebrate the summer with friends and family! Bring your own picnic, although food trucks will be available if you don’t. 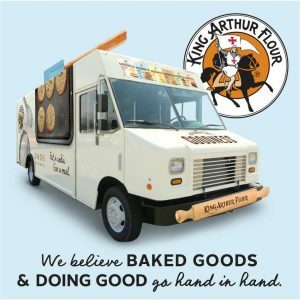 The King Arthur Flour Bake Truck will also be making a special appearance tonight, baking up delicious chocolate chip cookies and giving them away for donations. The donations will benefit the Blithewold Summer Garden Program – all harvested produce is given to the East Bay Food Pantry. Guests are encouraged to bring chairs or blankets. NEW! Music at Sunset tickets must be purchased in advance. Tickets will be available online until 3:30 pm each Wednesday. Our parking is limited, please try to carpool and be sure to arrive early. Concert attendees can also park at The Columban Fathers Retirement House parking lot just north of Blithewold (65 Ferry Road). There is a path from that lot to the Blithewold parking lot, leading to the Education and Visitor Center where you’ll need to check in or purchase concert tickets. In case of rain, the concert will be held under the tent. If there is a threat of lightning, however, our event tent cannot be used for safety reasons and the program will be canceled. In the case of a cancellation, this page will be updated, and an e-mail will be sent to everyone who pre-registered. Please leave your pets at home. Only certified service animals are allowed on the property.